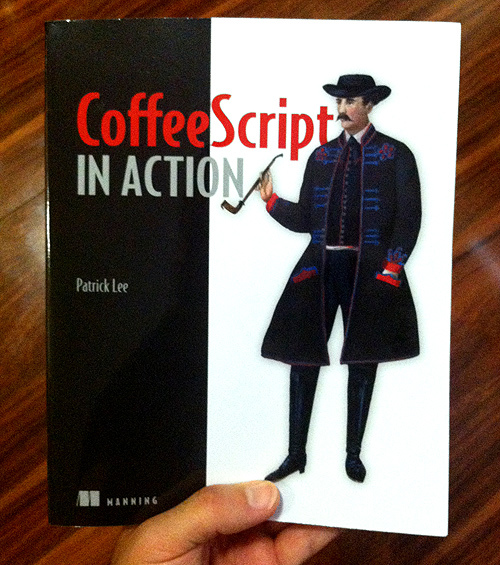 Three years ago, I began collaborating with Patrick Lee on some comic strips for a textbook called CoffeeScript in Action. 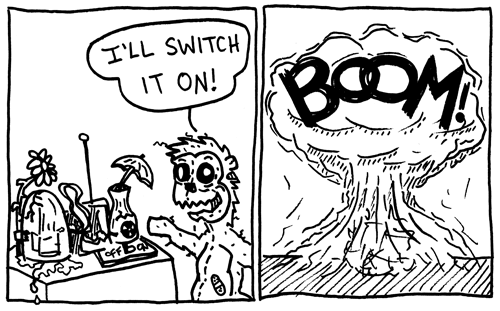 In the summer of 2011, Pat asked if I'd be interested in illustrating some comics in a look similar to my Stick Cats style. 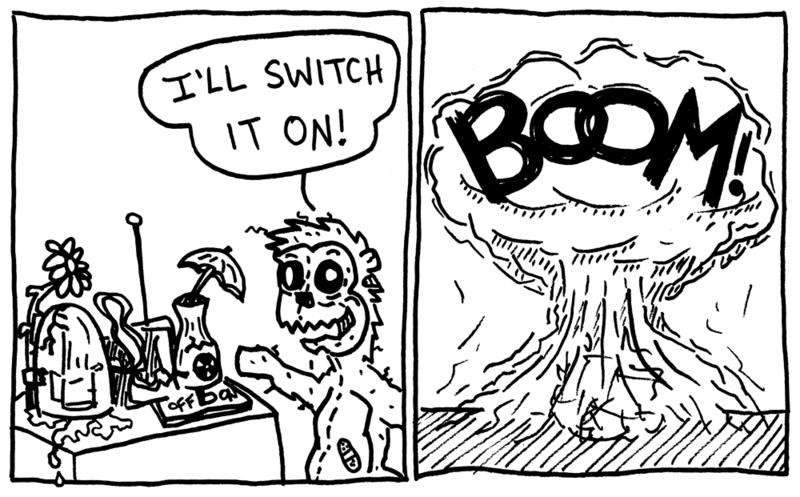 Curious about the opportunity and interested in a new challenge, I accepted the offer to bring Scruffy and Agtron to life. 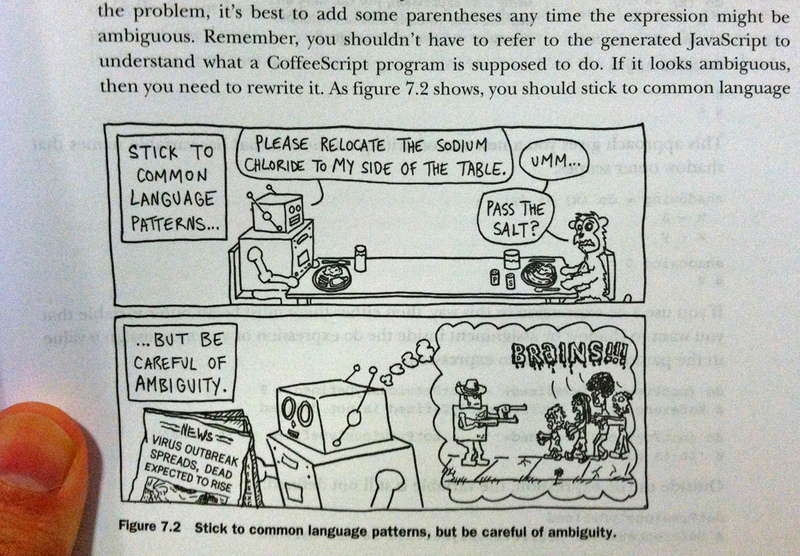 Modeled on a toy robot and a stuffed monkey, the characters act out Patrick's lessons in the text. Initially, I thought it would be a quick and easy gig, doodling simple characters in a loose style. 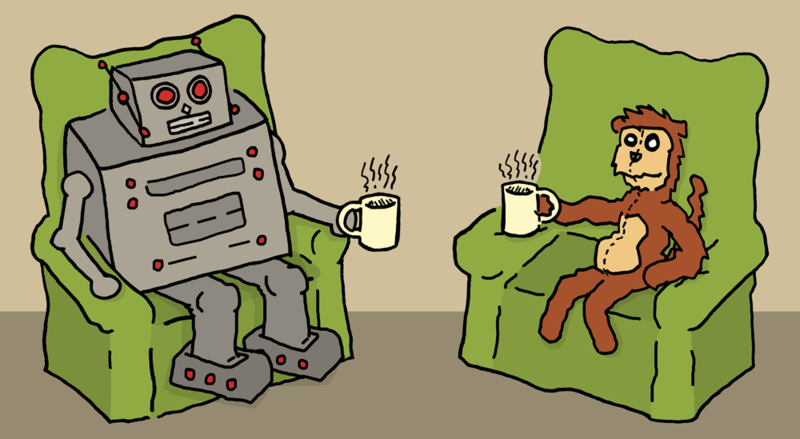 But as a relatively green freelance illustrator, I failed to predict the complicated situations that could surround a robot and a monkey acting out examples of good (and bad) CoffeeScript coding. I worked from loose scripts by Pat, and he was fantastic about giving me freedom to interpret his words as I saw fit. I even had the chance to toss in a few of my own bizarre supporting characters, which ended up looking like weird animal/human hybrids rather than toys brought to life. I'm grateful to Pat for the chance to illustrate the adventures of Agtron and Scruffy. 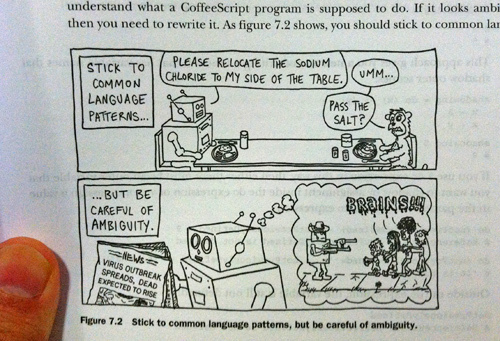 I hope our odd comics enrich the CoffeeScript in Action reading experience!